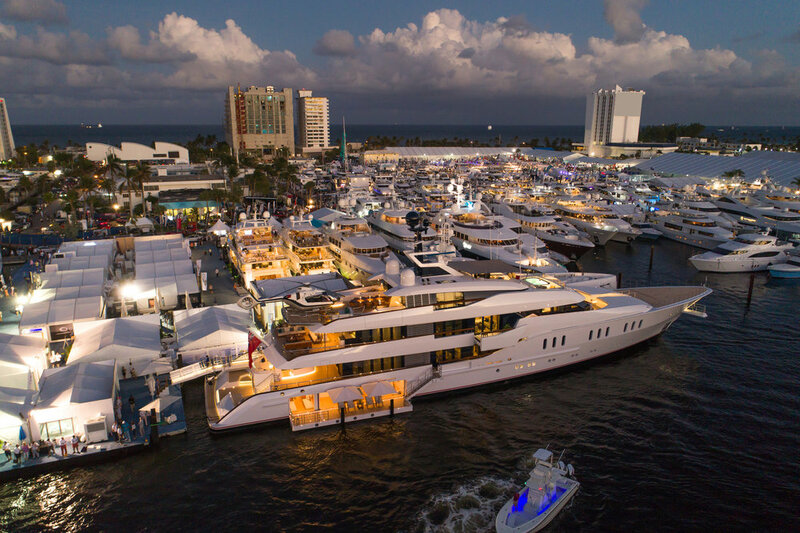 redUAS was tapped by security providers at the Fort Lauderdale International Boat Show to keep the skies over the show safe and free of unauthorized or malicious drones. In an environment where drones are proliferating and many hobbyist operators fly without awareness of FAA rules and airspace regulations, trade show and event operators face increasing security risks from above. Security organizers at the FLIBS brought in redUAS to provide an additional layer of security, aware that an outdoor venue covering six miles of floating docs and containing assets worth roughly $4 billion would be a target for curious hobbyists or non-paying visitors looking to capture interesting aerial footage. redUAS utilized a combination of cutting-edge technologies and military-based tactics, techniques, and procedures to keep the skies, boats and visitors safe at the world’s largest boat show in Fort Lauderdale from November 1-5. UAS awareness and security planning is a new frontier for many event planners. redUAS works with organizers well ahead of event execution, orchestrating an awareness campaign to inform locals and attendees of drone regulations affecting the event. They are on-site, integrating their video feeds into the event command centers, and providing actionable information for law enforcement to pursue, and they provide a comprehensive post-show wrap up, highlighting areas for potential improvement at future events.